Iivari's eyes widen as she tackles him from behind. "Gyaaaaahhhh!!!" He gasps. "Y-yeah, you got me...." he might have laughed if he was the type to do something like that. Instead his mouth twitches up a tiny bit in the hint of a smile which for him WAS a smile. "Wow, you can hold your breath for a long time can't you?" He felt a bit embarrassed she was hugging him. He was not used to being hugged and not at all by pretty girls. Kaichi chuckles lightly. It was funny to see these two. He didn't expect livari's reaction was like this. He didn't flipped as usual huh? How fun... What if... He narrows his eyes and his lips formed an evil smile. Iivari turns a bit red. "Y-yeah.... fun..." Why was she still clinging on to him? Was this normal behavior? A human thing he'd forgotten? He had no idea what was going on. He glanced over at Kaichi. What was he smiling about? Rasumi looks at the sky and smiles. It's still morning. The weather is so good! A perfect day to go to the swimming pool. She walks to the swimming pool, though it's a little far. Suddenly she notices a guy standing near the road. It looks like he's lost. She slowly approached him and asks: "Excuse me, are you lost?" She likes to help those who need, even if it's a total stranger. She tilts her head and waits for an answer. "The villa." He stares blankly at her. "Oh I know a villa in this town." Rasumi smiles and grabs his hand. He follows her without complaining. Together they go to a villa, near the shopping center. Since it's day, the path is clear. At nighttime she wouldn't dare to go there. After a few minutes walking they reach the villa. She never had seen this villa from this close. She raises her hand and presses on the door bell. Iivari hears the doorbell from the pool. "Kaichi? I think someone's at the door." He gently detaches Yokishi from his back. "You stay here, I'll get it." He gets out of the pool and throws a towel around his shoulders. "I'll get it Kaichi. It's probably someone from the Library looking for me." He goes back into the house and opens the door. "Look, today's my day off and-" He freezes. Rasumi?! What was she doing here?! And who was that guy she was holding hands with? He tenses up. "H-hello Rasumi.... who's your....friend?" He completely forgot that he was answering the door to someone else's house. Kaichi glances at livari who rushed to the front door. Why did he rush? It isn't his house. Kaichi nods to Yokishi, then stand up and go to livari. "Who is there?" He stands on his toes to look over livari's shoulder. 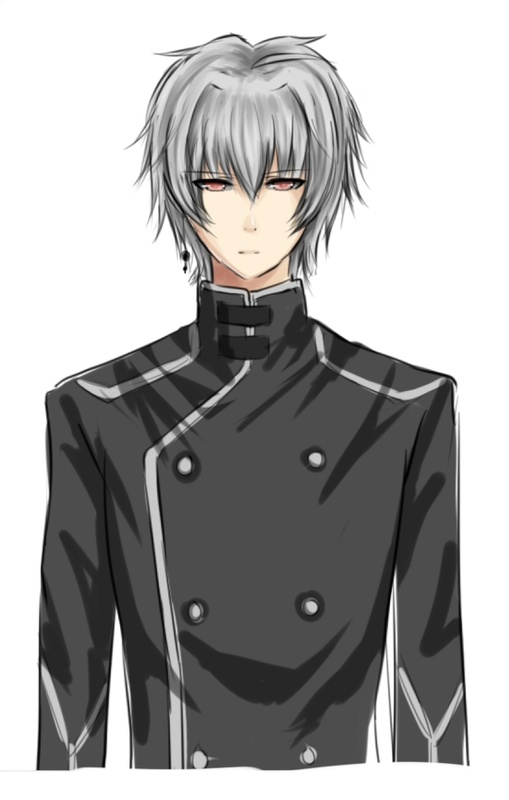 He notices a girl with long black hair and a guy with silver hair standing besides her. "Shikiyo!" Kaichi shouts exited his name. He pushes livari away and grab's Shikiyo's hand. The silver haired guy let himself pulled by the child. Kaichi glances over to Rasumi with a smile. "Thank you for bringing him home. Please come in." Kaichi turns around and goes with Shikiyo upstairs. "Yokishi, help them if they need something" he tells Yokishi before he disappears with Shikiyo. Yokishi quickly changed her clothes and peeks at Rasumi and livari. Somehow she felt like these two need to be alone. She giggles lightly and goes to the kitchen and brings some sweets. She puts them on the table and leaves quietly. "Time to stalk Shikiyo!" Iivari bows slightly. "G-good morning Rasumi...." It was so hard not to get flustered when she was around. Guess she was just helping that guy back home. She was so nice. He picks up a piece of candy and offers it to her silently. She loved candy right?